The target at 84.65 was comfortably passed and the structure is incomplete. 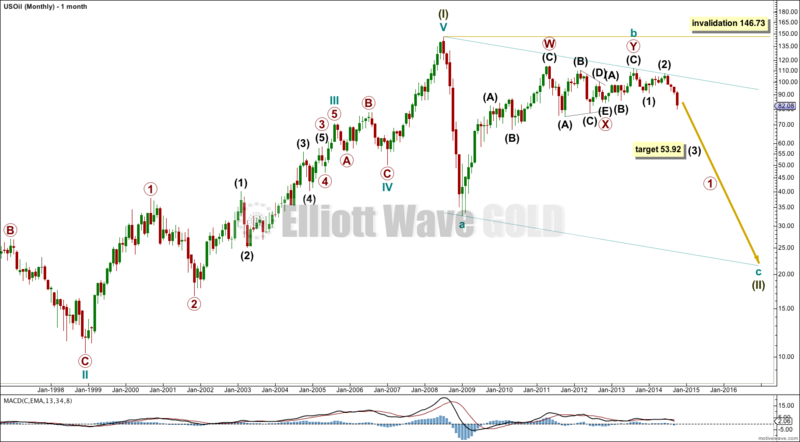 Summary: The new target for this wave to end is 79.67 – 78.15, which may be met within one to two weeks. 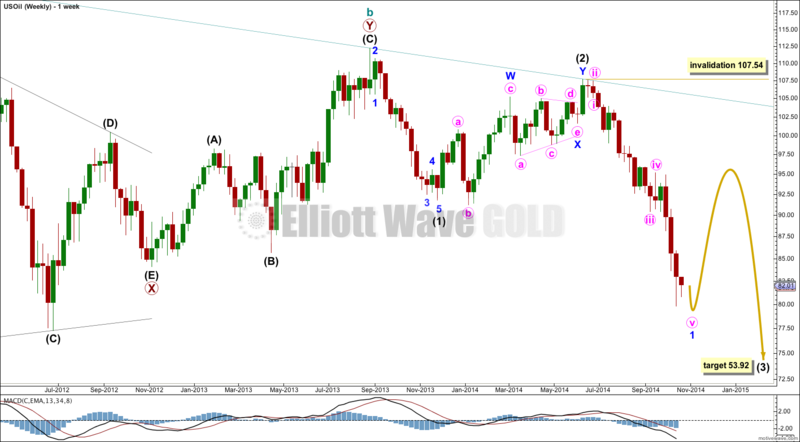 If cycle wave b were to continue any higher it may not move beyond the start of cycle wave a above 146.73. 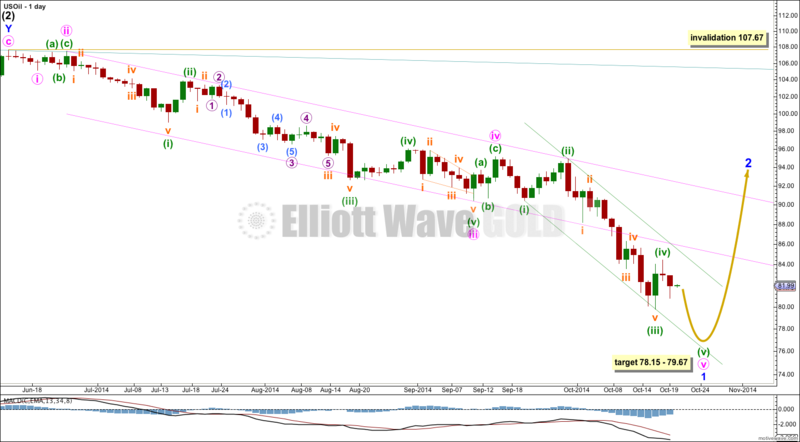 Within cycle wave c intermediate wave (3) would reach 2.618 the length of intermediate wave (1) at 53.92. Depending on the length of this third wave I may consider moving the labeling within cycle wave c all up one degree. Within minor wave 1 minute wave iii is 0.52 short of 6.854 the length of minute wave i. At 78.15 minute wave v would reach equality in length with minute wave iii. Within minute wave v there is no Fibonacci ratio between minuette waves (iii) and (i). I would expect to see a Fibonacci ratio between minuette wave (v) to either of (i) or (iii). At 79.67 minuette wave (v) would reach equality in length with minuette wave (i). I favour the upper end of this target zone because it is calculated at a lower degree. When this green channel is breached by at least one full daily candlestick above it and not touching the upper green trend line then I would take that as trend channel confirmation that minor wave 1 is over and minor wave 2 is underway. Great job on oil. I found it hard to believe oil could drop so far so fast but your analysis was correct. 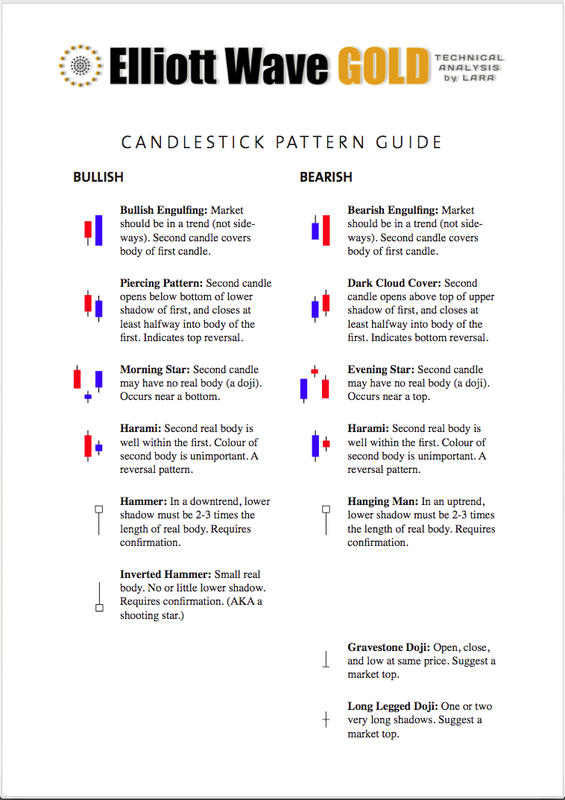 Would be most helpful to see oil chart once per week. Question: Can you give an estimate on time (trading days or weeks) for minor 2 to complete? I realize you cannot be specific, generic time would be useful. 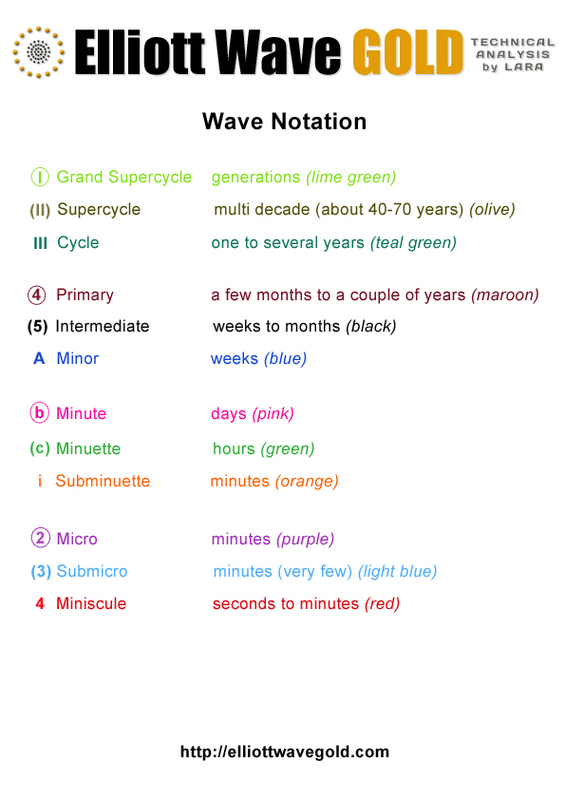 I would first look at the duration of minor wave 1. So far its lasted 95 days, 4 months. I would expect minor wave 2 to most likely be of an even duration. So about 4 months. Which means my degree of labeling is probably wrong… that looks more like intermediate degree.